As the FA Cup continues to grapple with its identity in the modern football landscape, and as the argument against the notion of replays grows, the visit of League One strugglers Shrewsbury Town to Molineux to face Premier League high-flyers Wolves in a fourth-round re-run teased the prospect of an old-fashioned upset, a glimpse of fading romance. Ultimately, it wasn’t to be. Wolves, rattled for periods of the first half and briefly behind, largely kept Shrewsbury at arm’s length for a victory more assured than the 3-2 scoreline suggests. So the cup was unable to deliver the big story, as the might of another much-changed Premier League side once again proved too much for a spirited yet quality-deficient lower-league contender. Narratives still abound on such cup nights, though, albeit less obvious and bewitching than the craved ‘giant killing’. Instead, the individual stories of the players for whom these occasions present a chance to shine outside the glare of their rested colleagues, or amid otherwise unremarkable careers, provide intrigue – the unsung heroes, the spotlight-deprived. 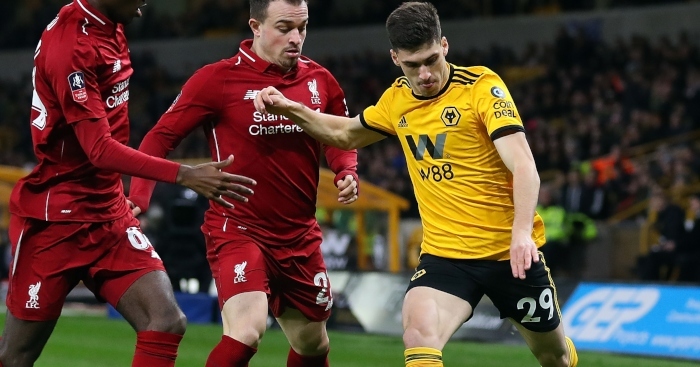 Wolves wing-back Matt Doherty’s praises have been sung by discerning Premier League observers this season, noting the impact of his marauding power down the right flank for Nuno Espirito Santo’s side, not to mention his five goals and five assists in the top flight. 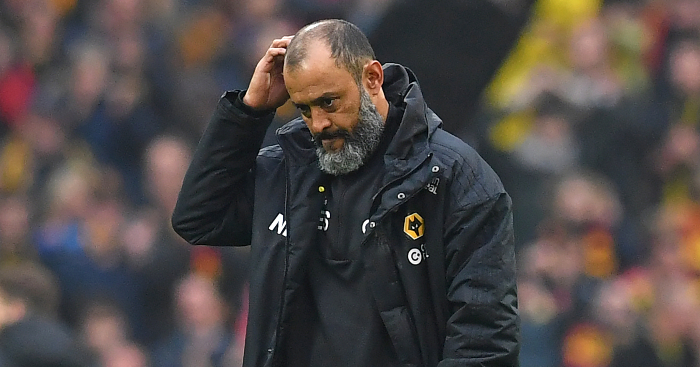 But his performances have very much taken a backseat to the eye-catching incision of Ruben Neves, the consistent technical class of Joao Moutinho and, recently, the scoring form of Diogo Jota. 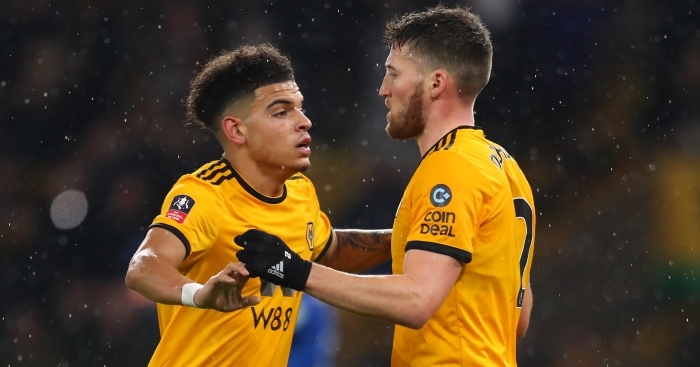 Unlike the Portuguese trio, though, Doherty was not deemed too important to Wolves’ Premier League cause to be risked against League One Shrewsbury. He started. He starred. Doherty opened the scoring from close range in just the third minute, then tapped home a second in first-half stoppage time after Shrewsbury keeper Steve Arnold spilled a routine catch. 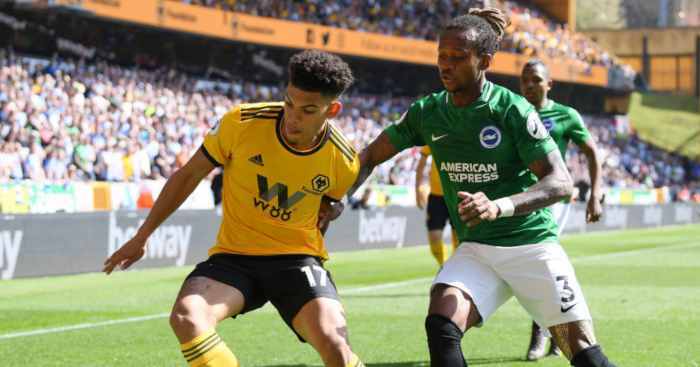 Another to profit from the absence of Neves and Moutinho was gifted teenager Morgan Gibbs-White, who started in central midfield and assumed set-piece duties in lieu of the former Porto pair. Gibbs-White was an Under-17 World Cup-winning colleague of the likes of Phil Foden, Angel Gomes and Bayern Munich target Callum Hudson-Odoi in 2017, and he has since racked up more top-flight minutes (453) than every other England youngster to feature in that triumph combined, with the exception of Borussia Dortmund’s Jadon Sancho, who returned to his club before the knock-out phase. The Stafford-born youngster accumulated further senior experience with a strong showing against the Shrews, confidently conducting play. Although he lacks slightly for the awareness and precision of Neves and Moutinho, Gibbs-White’s ability to find space, his tidy technique and round-the-corner passes showcased a talent of real promise. And, unintimidated by the physicality of his third-tier midfield opponents, he displayed an encouraging robustness. For the visitors, currently second from bottom in League One, without a league win this year and hammered 3-0 by Luton at the weekend, there was genuine hope of causing an upset. Although they were ahead for only 17 minutes, they never trailed by more than a single goal and left-back Omar Beckles almost fired an unlikely equaliser in the 82nd minute, his 20-yard effort whistling just wide. Individually, there were rare moments in the limelight for scorers James Bolton and Josh Laurent, who, at 24 and 23 respectively, are already journeymen of sorts, combining for spells at 12 different clubs. While Cup replays offered fleeting heroism for some, though, others are inevitably less fortunate. This cold, wet Tuesday evening in the Black Country will be remembered less fondly by the two goalkeepers, who each blundered badly to concede first-half goals. 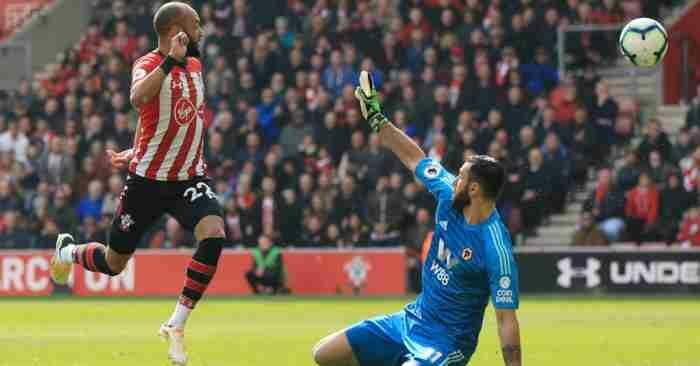 John Ruddy in the Wolves goal – once a Premier League regular with Norwich City but now understudy to Portugal international Rui Patricio – inexplicably misjudged Laurent’s daisy-cutter, which bobbled past his dive and rolled agonisingly over the line. Ruddy was redeemed, however, by another player fighting his way in from the fringes. Ivan Cavaleiro has been restricted to just five Premier League starts all season, but he led the line expertly for Wolves throughout, dropping deep to link play intelligently and posing a powerful threat in behind. And Cavaleiro’s 62nd-minute strike, skilfully cutting inside before rolling in a low finish, sent Wolves through to the fifth round. It wasn’t a night for romance, but, in games like these, the FA Cup at least offers a time for unsung heroes. 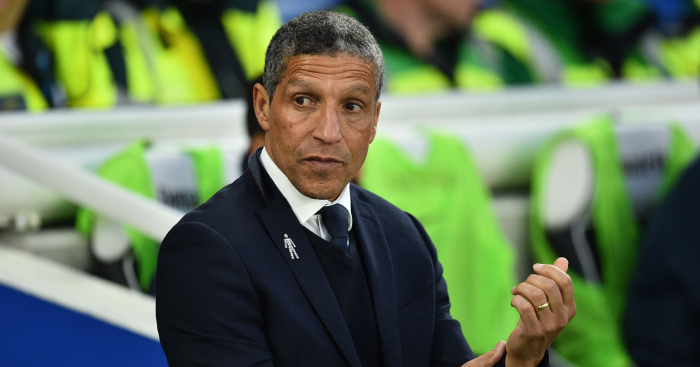 Relegation-threatened Brighton rediscovered their resolve to grab a 0-0 draw at Wolves. 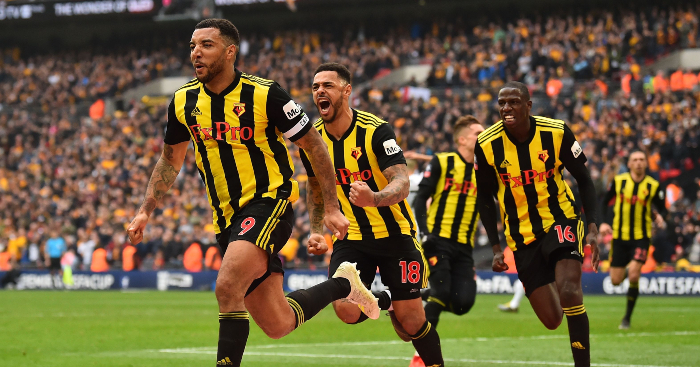 Javi Gracia's side came from two goals behind, courtesy of two from Deulofeu and one last-gasp Deeney penalty.